Hi Shaumik, thanks for stopping by! 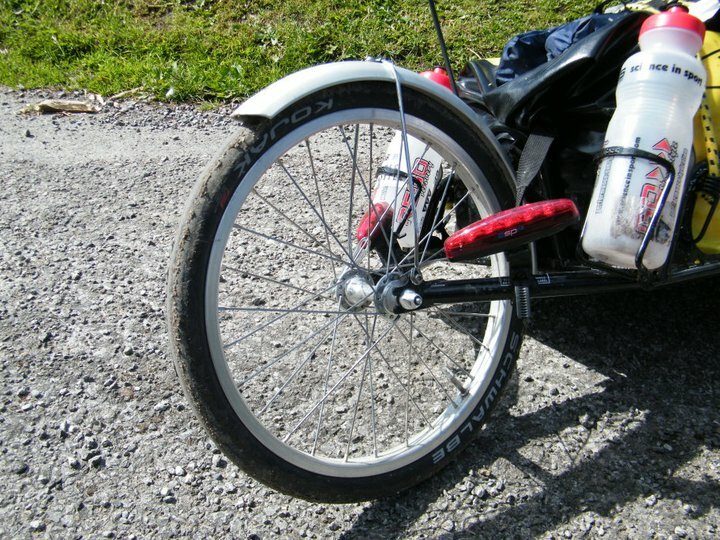 I’ve never used the Brompton version of the Schwalbe Kojak but from what I can tell the only real differences are the ones you point out; with the Kevlar bead, they’re a bit lighter and foldable which, if you’re really worried about saving weight or maybe carrying a spare tyre around, is a bonus. It might just be a new design for this year but I think the Brompton version also comes with a reflective strip running around the whole tyre whilst the regular one just has reflective tyre labels. Other than that, the rubber compound, size, puncture protection and everything else is exactly the same from what I can tell. For me, the wire bead version (which is considerably cheaper) works perfectly fine so I guess it’s a matter of personal preference with the small amount of extra visibility and weight advantage. Hope this helps – let us know what you decide to go for. What size rims are those on your Merida; they look rather narrow. By size I mean the inner width. I’m thinking about getting Kojak 2.00s for my commuter. My rims have an inner width of 19 mm. People have advised me that the 200s will work but that I have to be very careful about my tire pressure: too high and the rim may fail; too low and the tire may roll off the rim. Hi David, unfortunately I sold that Merida a while ago so I can’t measure the rims. They were really wide though; it was a set of Onza Half Fat wheels which (according to the interwebs) are 31.4mm wide but I also used the same tyres on a set of Ritchey Rock Comp which were much narrower (probably close to your 19mm rims). I used to run them at the higher end of the pressure range and never had any problems. The whole too high / too low thing is true for every wheel and tyre combo in my experience but I’d say you shouldn’t have any problem running a 2″ tyre on a 19mm wide rim – seems like a fairly standard setup to me. Oh, by the way, I currently run 2.2″ tyres on what Halo describe as a 24mm rim; I think that’s measured from the outside edges. I’ve run them everywhere from 50 – 85 psi without any problems. Thanks much for the input. The Kojaks are ordered on the way. I’ll let you know how I like the tires, but it won’t be soon because I’m essentially going to rebuild the bike when the tires arrive. After I’ve ridden some miles on the rebuilt bike with the Kojaks, I’ll give you some feedback. Great stuff – I’d love to see some pictures of the finished bike. Hi Ryan, it’s because the Kojaks don’t fit the stock wheel that comes with the trailer. They’re both labelled 16 inch, but the Kojak is a larger diameter. 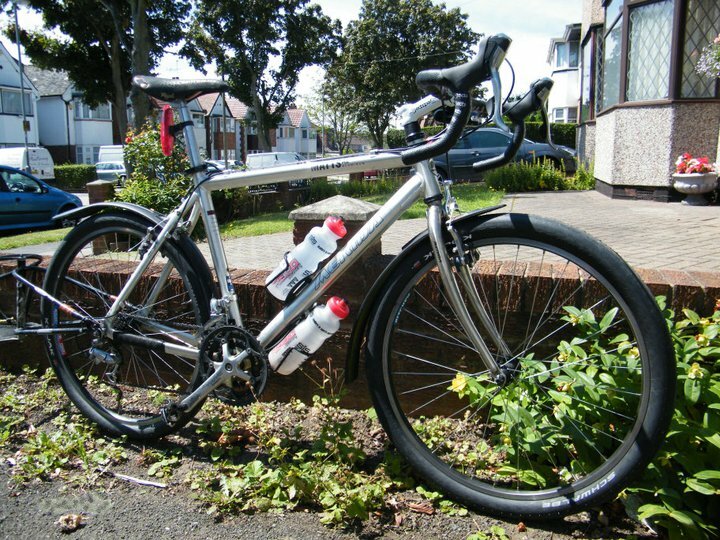 I also live in Manchester (Leve) and wear Schwalbe Kojak 2″ on my Proflex Beast and love them. Coincidentally Yesterday I fitted the last (In the world) 16″ x 2 city slicker on my bob trailer and I can’t believe how much better it is the old tyre would bob about all over when empty. Though I have not actually changed the rim. Great to hear there’s another BOB in Manchester, the only other one I’ve seen on the road was in Bordeaux.